Hughes, D. F., Blackburn, D. G., Wilber, L., & Behangana, M. (2018). 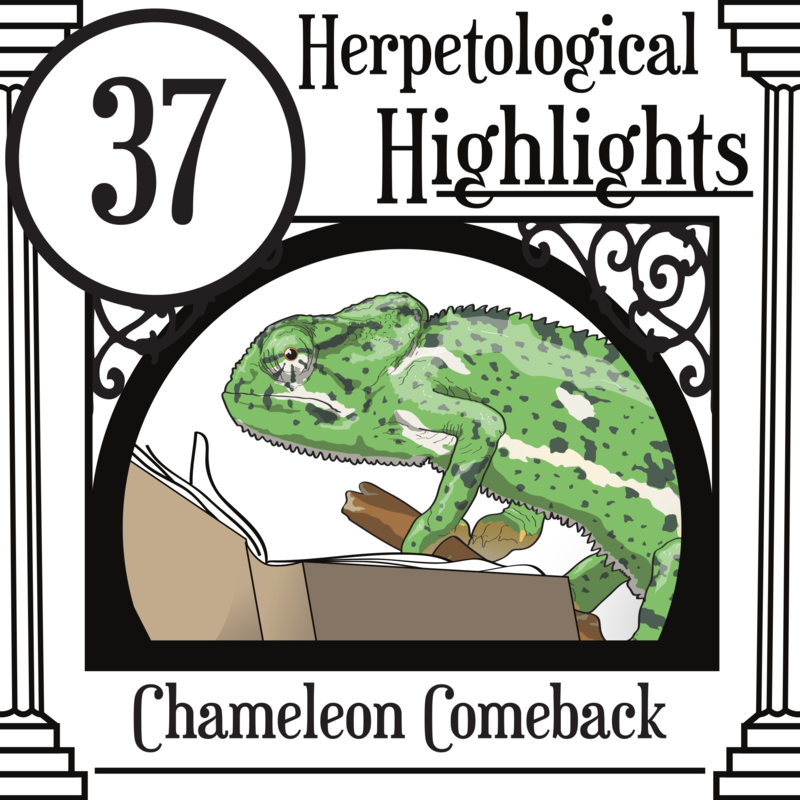 New distribution records, observations on natural history, and notes on reproduction of the poorly known Sudanese Unicorn Chameleon (Chamaeleonidae: Trioceros conirostratus) from Uganda, Africa. Amphibian & Reptile Conservation, 12(2), 83–89. Hebrard, J. J., & Madsen, T. (1984). Dry season intersexual habitat partitioning by flap-necked chameleons (Chamaeleo dilepis) in Kenya. Biotropica, 69-72. Main, D. C., van Vuuren, B. J., & Tolley, K. A. (2018). Cryptic diversity in the common flap-necked chameleon Chamaeleo dilepis in South Africa. African Zoology, 53(1), 11-16. Miller, A. K., Maritz, B., McKay, S., Glaudas, X., & Alexander, G. J. (2015). An ambusher's arsenal: chemical crypsis in the puff adder (Bitis arietans). Proc. R. Soc. B, 282(1821), 20152182. Stipala, J. 2014. Mountain Dragons: In Search of Chameleons in the Highlands of Kenya. Jan Stipala, Singapore. Tilbury CR, Tolley KA, Branch, WR (2006). A review of the genus Bradypodion (Sauria: Chamaeleonidae), with the descriptions of two new genera. Zootaxa 1363: 23-38. (Kinyongia, new genus). 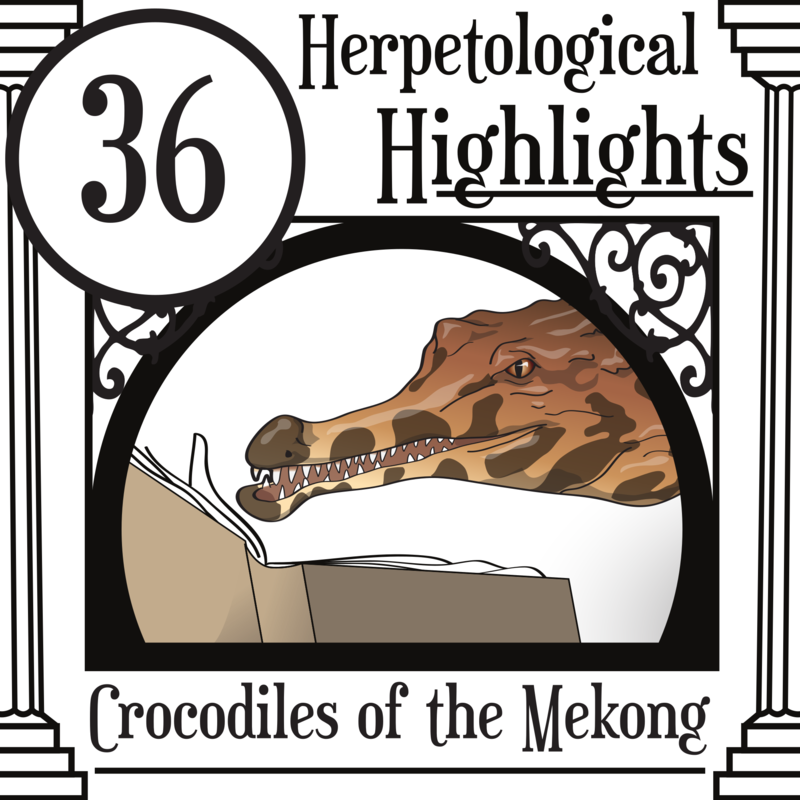 Revisiting the world of crocodilians, we take a look at the habitat shared by two Southeast Asian species, and discuss Siamese crocodile conservation. Our Species of the Bi-week is not a crocodile, but it is pretty scaly. Staniewicz, A., Behler, N., Dharmasyah, S., & Jones, G. (2018). Niche partitioning between juvenile sympatric crocodilians in Mesangat, East Kalimantan, Indonesia. Raffles Bulletin of Zoology, 66, 528–537. Behler, N., Kopsieker, L., Staniewicz, A., Darmansyah, S., Stuebing, R., & Ziegler, T. (2018). Population size, demography and feeding preferences of the Siamese crocodile Crocodylus siamensis (Schneider, 1801) in the Mesangat Swamp in Kalimantan, Indonesia. Raffles Bulletin of Zoology, 66, 506–516. Eam, S. U., Sam, H., Hor, L., Mizrahi, M., & Frechette, J. L. (2017). Movement of captive-reared Siamese crocodiles Crocodylus siamensis released in the Southern Cardamom National Park , Cambodia. Cambodian Journal of Natural History, 102–108. Starr, J. C. D. A. (2010). Development of a re-introduction and re-enforcement program for Siamese crocodiles in Cambodia. Global Re-introduction Perspectives: Additional Case Studies from Around the Globe, 118. Starr, A., Daltry, J.C. & Nhek R. (2010) DNA study reveals Siamese crocodiles at the Phnom Tamao Wildlife Rescue Centre, Cambodia. Crocodile Specialist Group Newsletter, 28, 5–7.